If ever there was a drinking glass made for special occasions, it must be the Ripple Champagne Saucer. 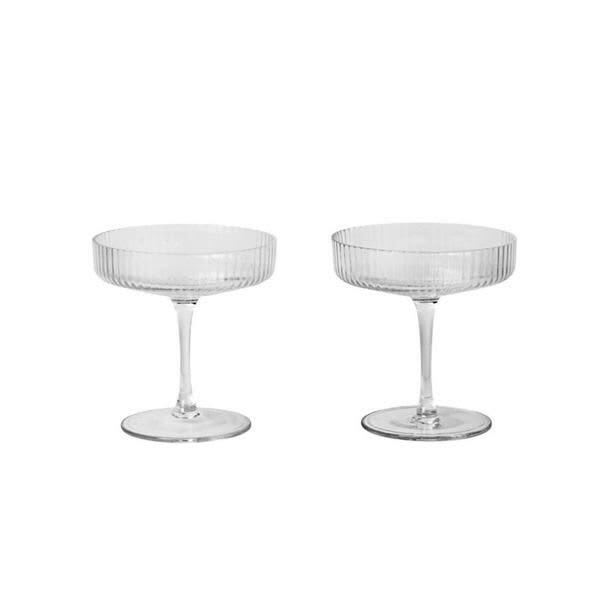 This set of two is made of mouth-blown glass and features a beautifully rippled surface and elegant, timeless shape. Dishwasher safe. Nordic Edit in Dunbar, United Kingdom.